ThinkPad notebook WiFi Router - Turn a ThinkPad notebook into a wireless router. WiFi-enabled ThinkPad notebooks with Windows XP installed. ...... Other Wi-Fi enabled devices including notebooks, smart phones, music players, and gaming systems can see and join your ThinkPad Notebook WiFi Router's wireless network just like any other Wi-Fi access point and are kept safe and secure by password-protected Encryption. With ThinkPad Notebook WiFi Router you can create your own wireless network in your Ethernet-only hotel or meeting room. And you can find more possibilities. * Software-based Wireless Router: Take any Intemet connection and share it wirelessly with no additional hardware. * Connect with Mobile Devices: Easily connect any number ot WiFi enabled devices to your mobile network. * Requirements: ThinkPad notebook with WiFi card that works under Windows XP sp2 or above. Store notes and to-do list for easy reference. RouterSyslog view the Syslog from your Router. LongClasp Email Router effectively helps you deal with many emails everyday. The SNMP-based tool for control of active network equipment. Protect Wireless Connection to Internet. 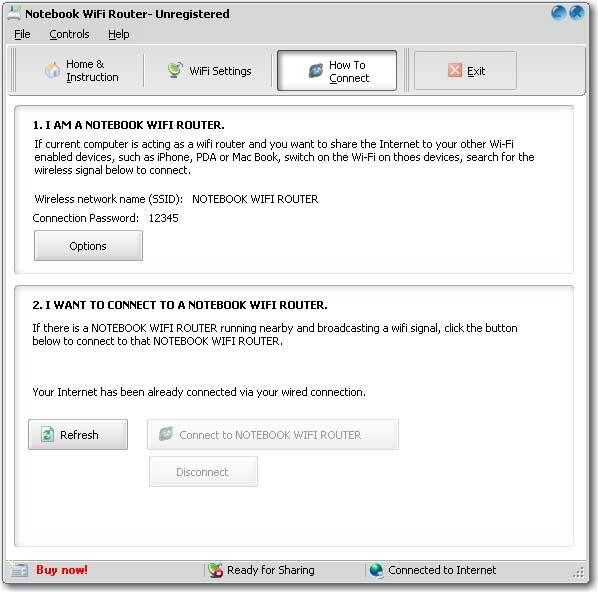 Qweas is providing links to ThinkPad Notebook WiFi Router 2.4 as a courtesy, and makes no representations regarding ThinkPad Notebook WiFi Router or any other applications or any information related thereto. Any questions, complaints or claims regarding this application ThinkPad Notebook WiFi Router 2.4 must be directed to the appropriate software vendor. You may click the publisher link of ThinkPad Notebook WiFi Router on the top of this page to get more details about the vendor.